Last weekend saw the first of this season’s Category tournaments for those with handicaps of, you guessed it, greater than 70. On Friday evening the 80+ handicappers had their own mini tourney with two qualifying for the Saturday groups. So congratulations to Christopher Desira who has the 80+ bragging rights for the rest of the season. Congrats also to Jacqueline Siu who also made it through to Saturday but special congratulations to everyone who signed up and played! 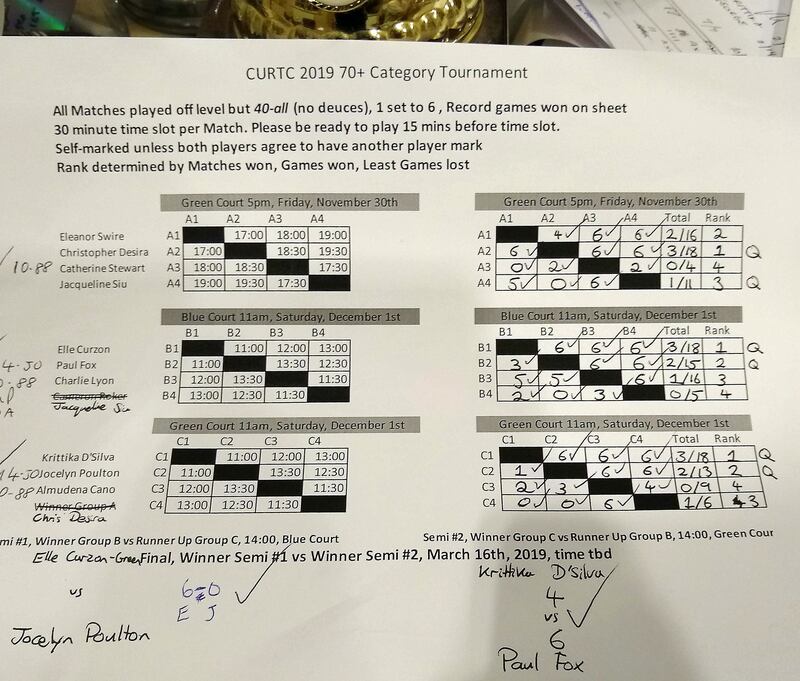 On Saturday, the groups went more or less to form as Elle Curzon-Green and Krittka D’Silva won their groups with 3 wins each but with a couple of close 6-5 matches on the way. They met Paul Fox and Joss Poulton in the two semi-finals in another good mix of ‘Town & Gown’. 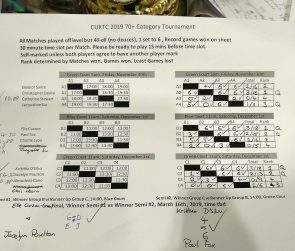 Elle presumably not wearing a gown was clearly unstoppable and Paul edged the other semi to earn a rematch in the Tournament final which will be played on Finals Day, sponsored by Hannay-Robertson Financial Planning, Saturday, March 16th next year. Click on the image below and you will be able to see all the results.